The same is awarded Pele at a ceremony in Zurich for special merits and achievements in his career. "How can people say that Pele won the Ballon d'Or ahead of me? I received the Ballon d'Or for special merits by France Football 1996th year. Therefore is a big mistake to say that Pele received the award before me," said Maradona. 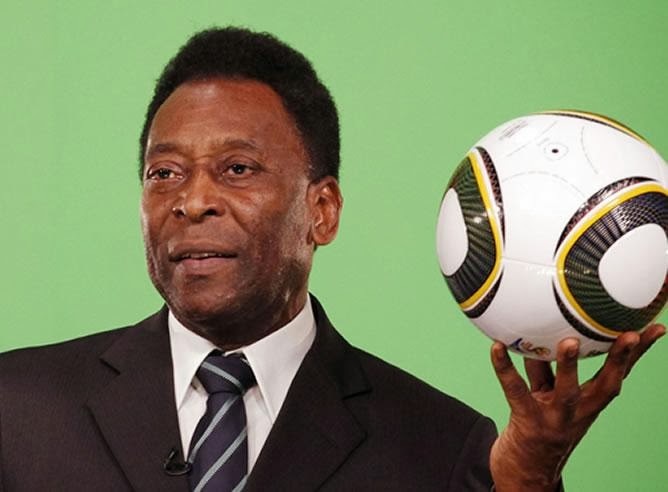 "For me Pele will always be second best in football compared to Maradona. Look at it this way, in his own country, Brazil, Pele is the second best athlete behind former Formula 1 driver Ayrton Senna. Pele will always be a second, either in international football or sport in Brazil. Sad thing is that the second best and will always remain in second place. While this year's Ballon d'Or awarding Cristiano Ronaldo, Pele is his name read as Cristiano Leonardo. It just proves where he belongs. " Maradona in 1986. year brought Argentina to the title of world champion, and has won league titles with Barcelona, Napoli and Boca Juniors. On the other hand, can boast Pele won three World Cups, which did not work any other footballer in history, and the statistics shows that scored 1283 goals in 1363 games in his career.